Should You Buy Cognizant Technology Solutions Corp (CTSH)? Hedge funds and large money managers usually invest with a focus on the long-term horizon and, therefore, short-lived dips on the charts, usually don’t make them change their opinion towards a company. The second half of 2015 and the first few months of this year was a stressful period for hedge funds. However, things have been taking a turn for the better in the second half of this year. Small-cap stocks which hedge funds are usually overweight outperformed the market by double digits and it may be a good time to pay attention to hedge funds’ picks before it is too late. In this article we are going to analyze the hedge fund sentiment towards Cognizant Technology Solutions Corp (NASDAQ:CTSH) to find out whether it was one of their high conviction long-term ideas. Is Cognizant Technology Solutions Corp (NASDAQ:CTSH) worth your attention right now? Hedge funds are getting more optimistic. The number of bullish hedge fund bets increased by 7 in recent months. 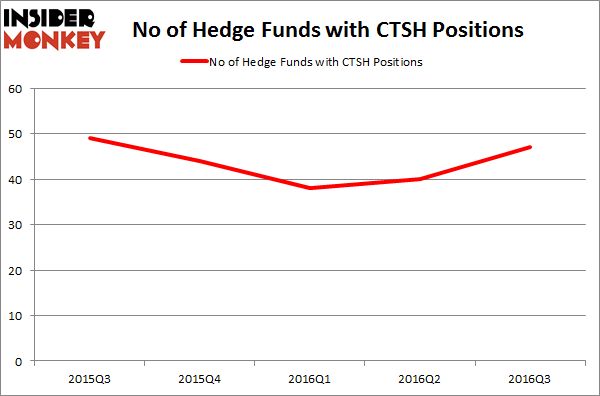 CTSH was in 47 hedge funds’ portfolios at the end of the third quarter of 2016. There were 40 hedge funds in our database with CTSH positions at the end of the previous quarter. At the end of this article we will also compare CTSH to other stocks including Las Vegas Sands Corp. (NYSE:LVS), Anthem Inc (NYSE:ANTM), and American Electric Power Company, Inc. (NYSE:AEP) to get a better sense of its popularity. 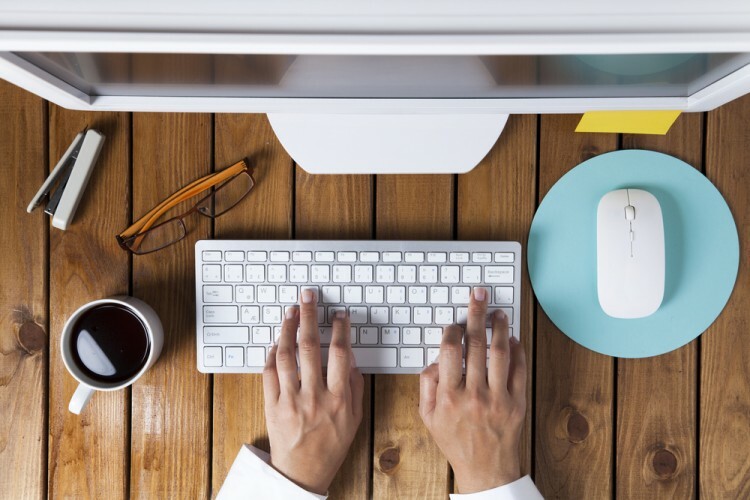 With all of this in mind, let’s go over the new action regarding Cognizant Technology Solutions Corp (NASDAQ:CTSH). Heading into the fourth quarter of 2016, a total of 47 of the hedge funds tracked by Insider Monkey were long this stock, a change of 18% from the second quarter of 2016. With hedgies’ sentiment swirling, there exists an “upper tier” of key hedge fund managers who were upping their holdings meaningfully (or already accumulated large positions). According to publicly available hedge fund and institutional investor holdings data compiled by Insider Monkey, Citadel Investment Group, managed by Ken Griffin, holds the most valuable position in Cognizant Technology Solutions Corp (NASDAQ:CTSH). Citadel Investment Group has a $183.5 million position in the stock, comprising 0.2% of its 13F portfolio. Sitting at the No. 2 spot is Farallon Capital, led by Thomas Steyer, holding a $174.1 million position; the fund has 2.5% of its 13F portfolio invested in the stock. Some other members of the smart money that are bullish comprise Anand Parekh’s Alyeska Investment Group, Cliff Asness’s AQR Capital Management and John Overdeck and David Siegel’s Two Sigma Advisors.